Corporate challenges delivered on a low ropes course! 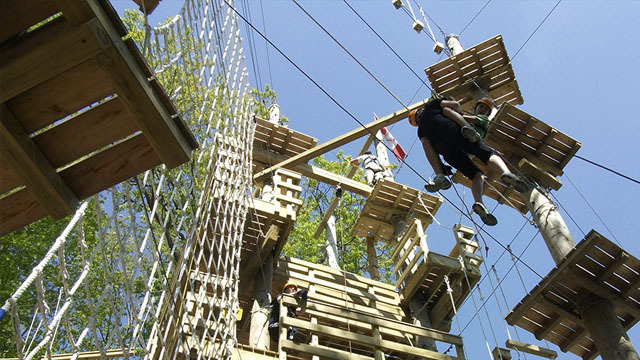 The ropes course offers clients an opportunity to take their level of challenge to the next level. Participants are fitted with all the necessary safety equipment and instruction. Facilitated tasks build in difficulty as participant confidence grows.